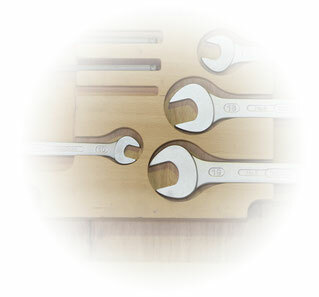 We are a medium-sized enterprise with 28 employees, that has grown its experience for over 115 years. Mainly, we are processing wires of Ø1.0 – 10.0mm and our production works in a multiple shift system with a number of bending machines. The main goal is to realize the ideas of our customers, which is why we have established our very own construction and tool manufacturing. The strength of the Drahtverarbeitung lies in a very flexible production. Thanks to up to date bending techniques we are able to process even the most difficult ideas in a short amount of time. We are advising our customers worldwide on the development of new products. On demand we are able to furnish our products with a decorative surface like chrome, nickel and fine-zinc. To make this happen we are working together closely with near by companies, which guarantees just-in-time production. In 2006/2007 we have increased our production space from 800m² to over 2000m². 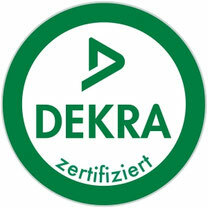 The quality management of the Drahtverarbeitung is recurringly being verified by the DEKRA. We are certificated ISO 9001:2015. We are certified to match the set of ISO 9001:2015.
toy industry to only name a few. Our products are being exported internationally (Austria, Belgium, Czech Republic, England, France, Netherlands, Mexico, Slovakia and Slovenia).